Concrete paving tiles are an evolution of the once famous mosaic pavers. The tiles are hydraulically pressed and can create a variety of patterns. Furthermore, the tiles can be shot blasted to give an earthy, rough look. For areas such as ramps or where the available thickness for paving is limited, paving tiles are a perfect fit. 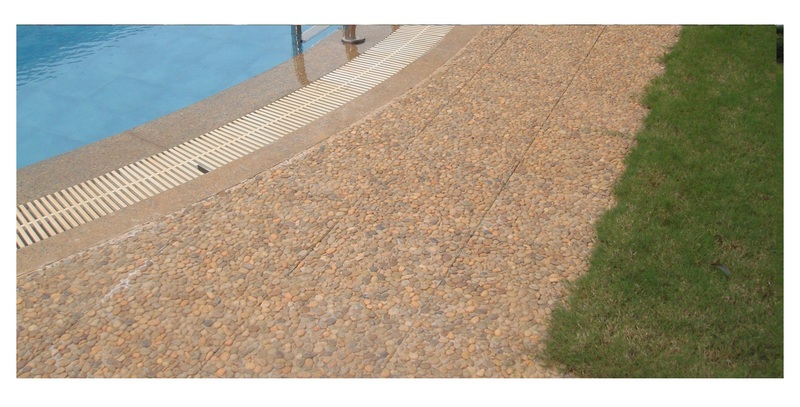 Recommended for around swimming pool deck, portico, walkways.